Brother-sister duo Broods rose to prominence in 2013 with their breakout debut single “Bridges,” an emotive, weighty pop-anthem with powerful, heartrending vocals. 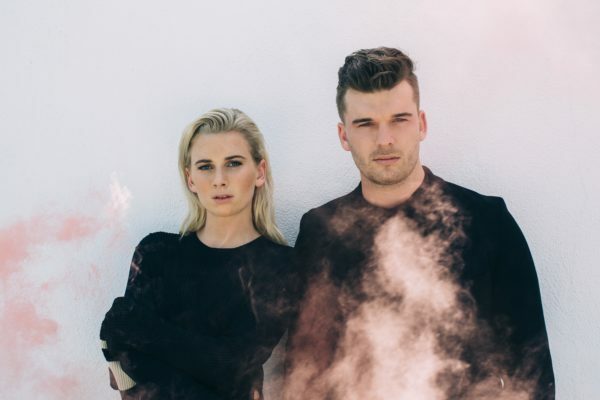 Broods proved to be no one-hit wonder, coming out with two more convincing albums titled “Evergreen” (2014) and “Conscious” (2016). Hopefully, there are many more to come. Listening to Broods’ music is an emotional experience. You’re tossed and turned around in an ocean of strange feelings, as wave after wave of melancholy, hope and self-doubt crash and crest over your head. You fight to stay afloat, but it’s a losing battle: The song has pulled you out to sea, far from shore, siphoned your fading strength bit by bit; all that can be done is brace yourself for the next wave. It sounds rather uncomfortable, but too soon, the music ends, and somehow you find yourself searching for the next adventure, if only to experience those sublime moments of struggle and tension once more. This is the magic of music. Behind this magic always lie great musicians, and I was curious about what made this particular musical mind tick. I had the opportunity to chat with Caleb Nott, one half of Broods, about his thoughts on songwriting, the creative process and music in general. I could tell from the moment he began to speak that Caleb is a musically minded person. “You know, [making music] excites me… beats, especially,” he offered. “It’s like poetry… like movements that make you move.” His process of creativity isn’t anything especially structured, but he greatly values trying to “write different music.” It’s a dynamic, exploratory method that blends multiple threads of musical thought from his influences with his own artistry, and it’s proven rather successful: Broods’ music certainly can’t be criticized for its regularity or banality. “It’s not necessarily a specific type of music… [it’s] what you just feel like writing down,” he explained. At the end of the process, one of the most amazing things, in Caleb’s opinion, is being able to experience the finished product. Caleb spoke at length about the importance of collaboration in his musical life. He noted that it was one of the most important aspects of his life in music, and that it has helped him become the musician he is today. His diverse cast of collaborators, mentors and musical friends include famed New Zealand music producer Joel Little, best known for his work with Lorde. Being around experienced and talented musical veterans has given Caleb a versatile set of musical tools with which he composes his tracks. In any case, Caleb enjoys working with others more than he does by himself: “It’s faster, ideas come easier and you can keep it moving,” he noted. With respect to Broods, however, Caleb largely handles the beats, and his sister Georgia (the other half of Broods) works more closely with the lyrics. So what does Caleb think of his own music? I asked him to describe his own style. Laughing, he said, “I think every musician hates that question.” He offered, “Maybe synthpop?” But I wasn’t necessarily looking for a label or a genre; I wanted to know how about the feelings that he wanted to evoke with his work, and what he wanted to say with his music. I pressed some more, getting, “It’s… emotive? I don’t know… I just write music.” And in a certain way, that was the best answer he could have given, an answer that spoke to the spontaneity and natural ease with which Broods’ music flowed. I’d gotten some insights on how Caleb created his work, but I wanted to learn a little bit more about what he was about as a person, so I prepared some special questions for him. Reflect on an idea or experience that has been important to your intellectual development. “Collaboration — because how else are you going to learn?” Caleb, who has been a musician his entire life, is no stranger to the ubiquity of collaboration in the world of music. His collaborations — connections with musical mentors, friends and others — have allowed him to learn from other musicians around him, and grow into the musician he is today. “Pushing yourself,” he responded immediately. Caleb expressed that he was planning on pushing himself to come up with new ideas for the next album. He bemoaned the “formulaic” nature of much of pop music today, noting that songs don’t become popular through sameness — instead, they gain popularity because of the uniqueness of the track. If you could witness a historical event, what would it be? 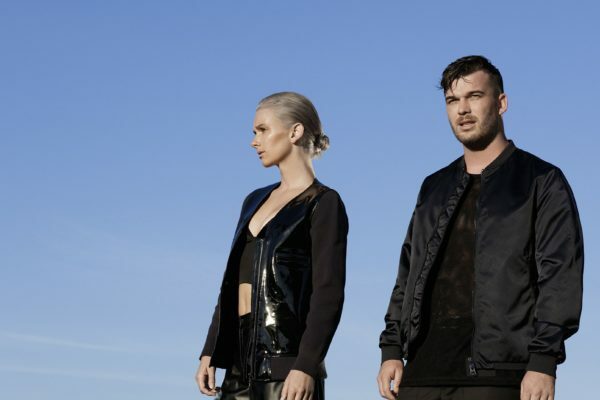 Broods will be performing at the Frost Music Festival at the Stanford Stadium on Saturday, May 20, opening for Zedd.